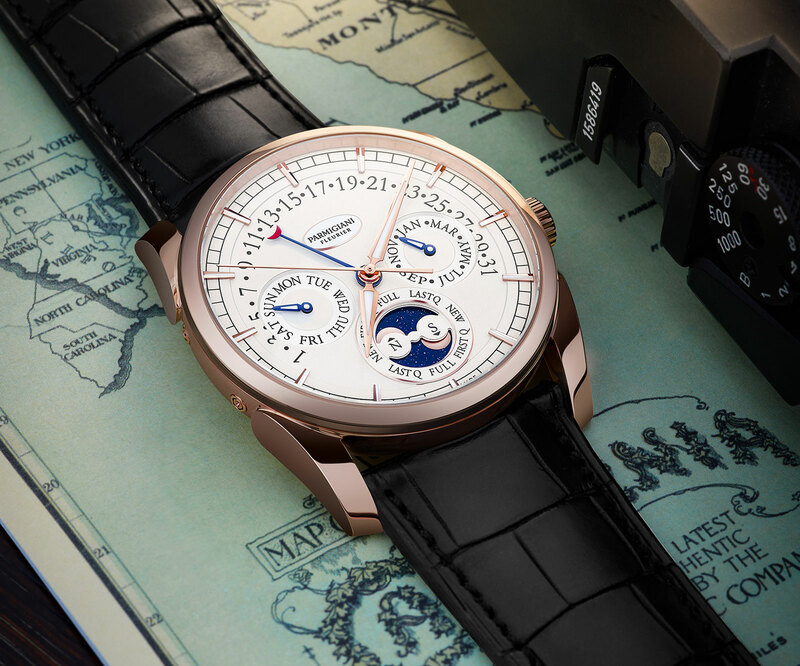 Introduced in 2011 as the Tonda Quator, Parmigiani‘s in-house annual calendar has been lightly redesigned, while becoming slightly more affordable. The visual tweaks are minor, including a narrowed bezel, slimmer hands and smooth dial, but the end result is a cleaner looking watch. Now known as the Tonda Annual Calendar, the watch features a retrograde date display, along with the day, month and moon phase. As an annual calendar the date display accounts for months with 30 or 31 days, and only needs to be set once a year at the end of February. The moon phase is a double display, showing the moon for both the northern and southern hemispheres. 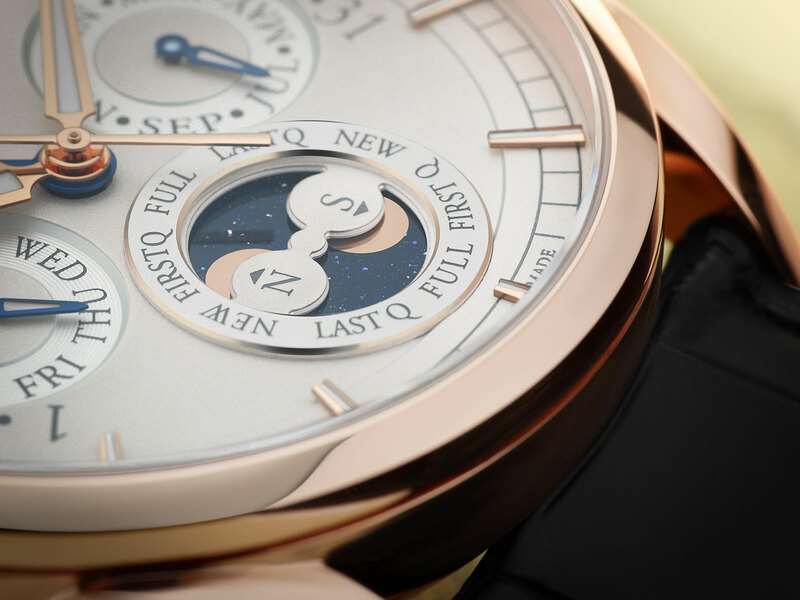 The sub-dial for the moon phase is also labelled with the ages of the moon, the only superfluous bit of clutter on the dial. 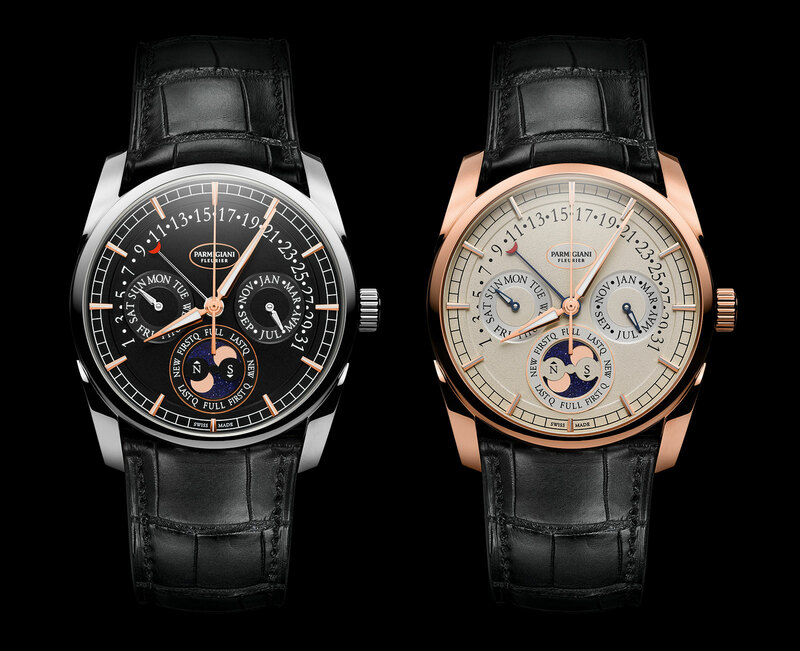 As is typical for Parmigiani, which has dial maker Quadrance et Habillage as its sister company, the dial of the Tonda Annual Calendar is elaborately and expensively executed. The moon phase disc, for instance, is aventurine glass, a form of glass with metallic inclusions that sparkle in the light. The Tonda Annual Calendar is powered by the PF339, which is produced in-house and is made up of the PF331 automatic movement topped by an annual calendar module. Double barrels give it a 50-hour power reserve. 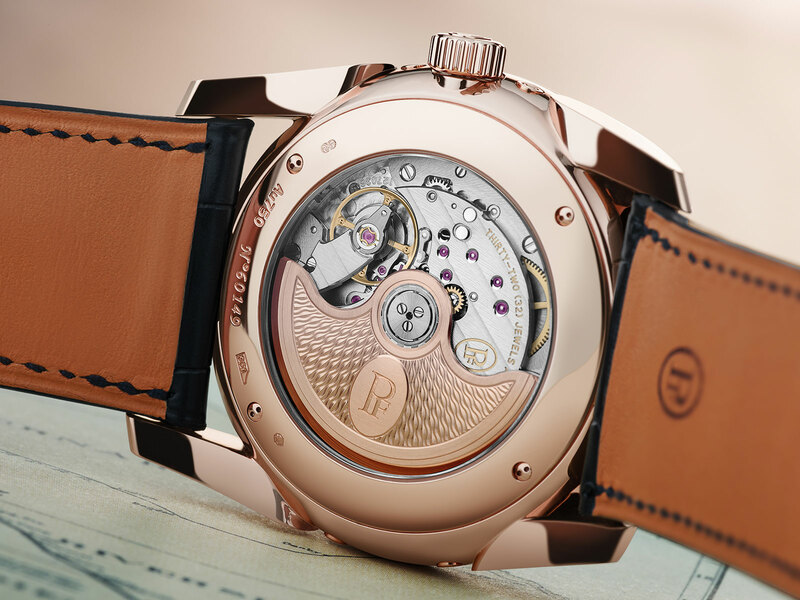 The 18k gold case is 40mm in diameter, with the large, curved lugs that are Parmigiani’s signature. And lastly, the Tonda Annual Calendar costs about 10% less than the Tonda Quator, which is not a bad thing. The Tonda Annual Calendar in either 18k white or rose gold (refs. PFC272-1002401-HA1442 and PFC272-1201400-HA1442) is priced at SFr29,600 or S$48,000. Updated with a new movement and smaller case.